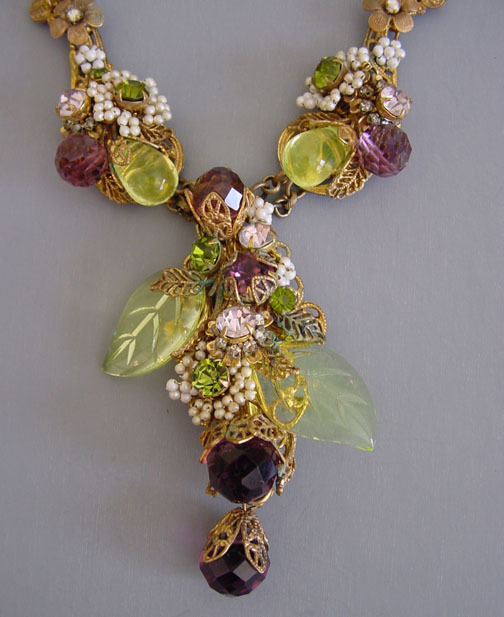 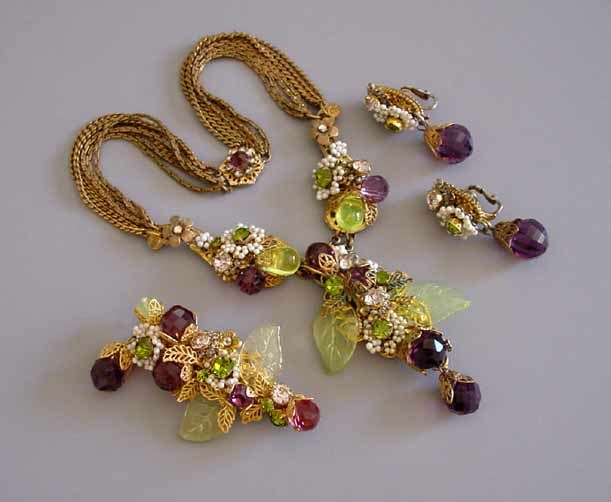 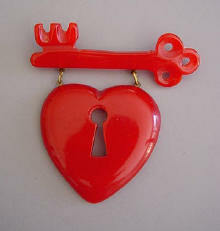 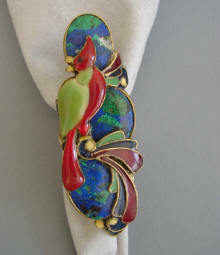 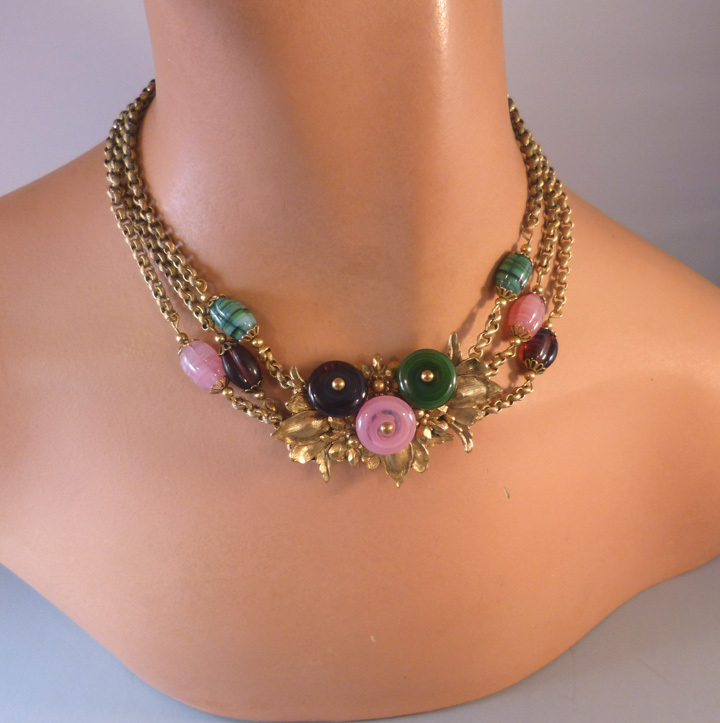 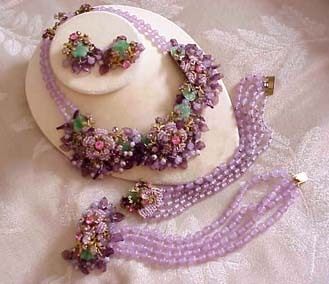 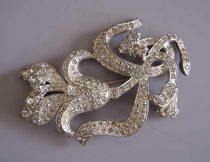 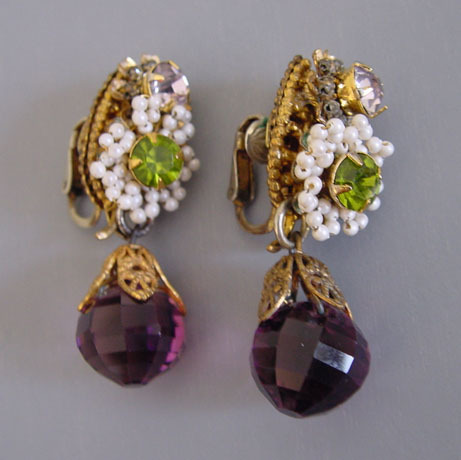 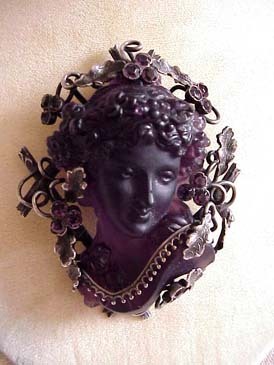 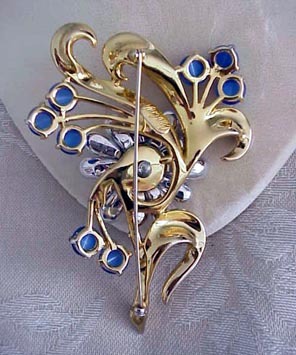 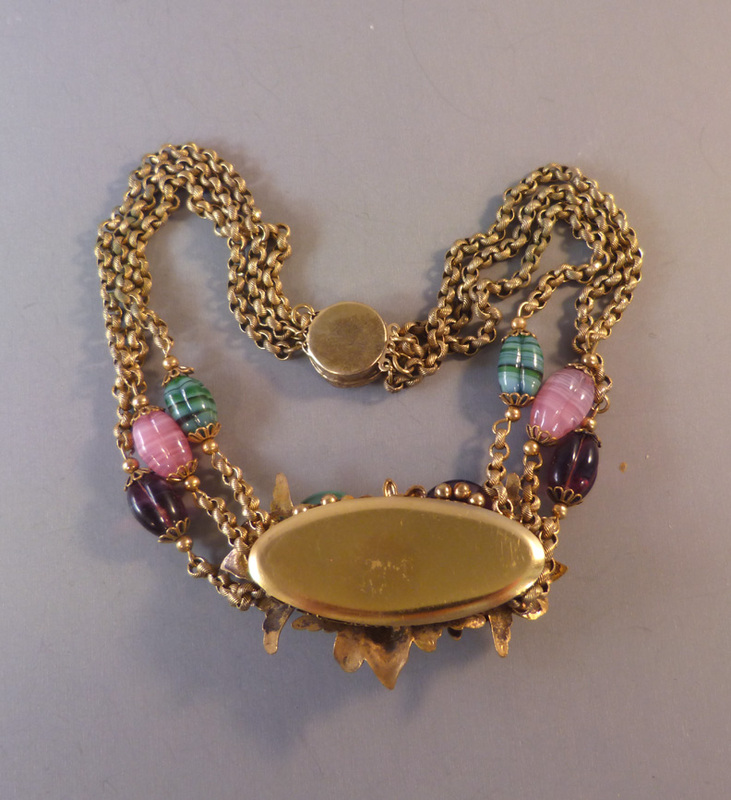 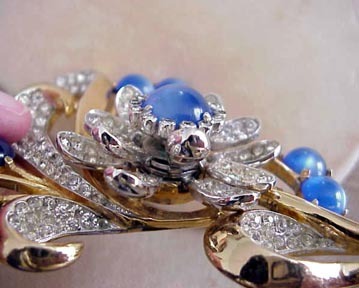 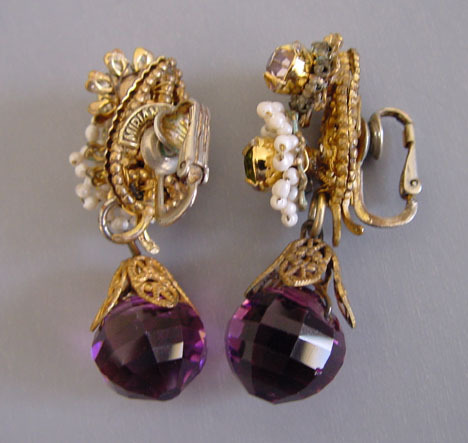 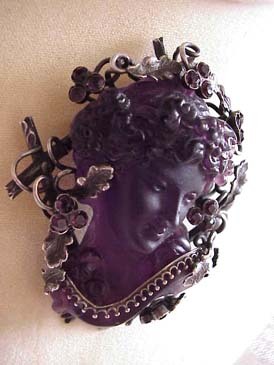 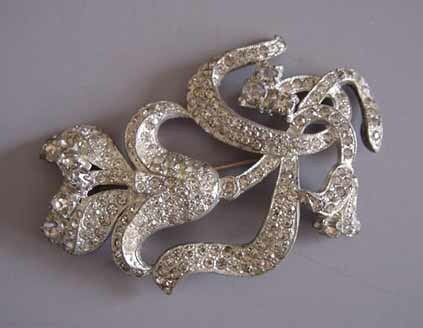 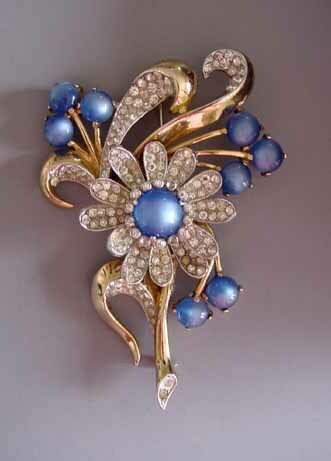 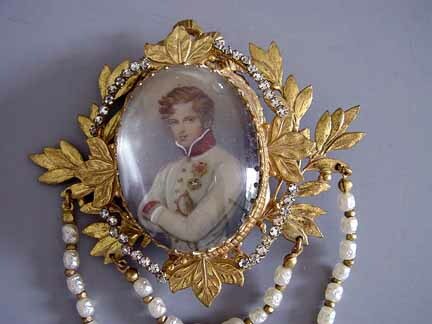 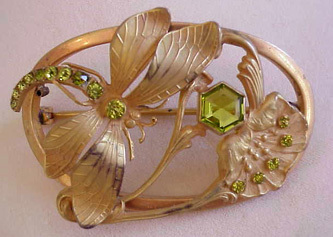 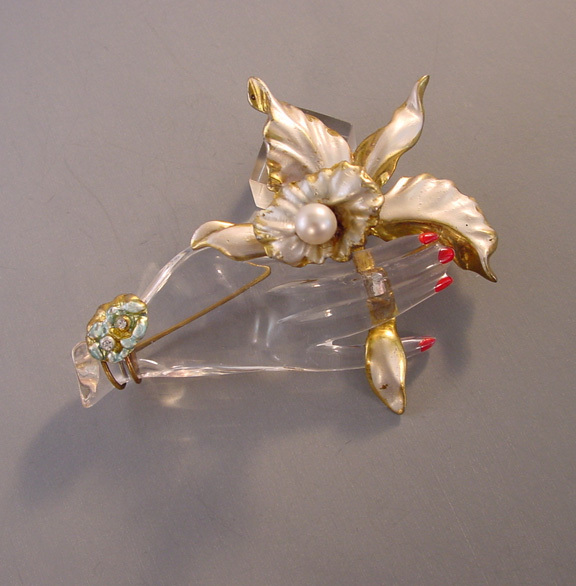 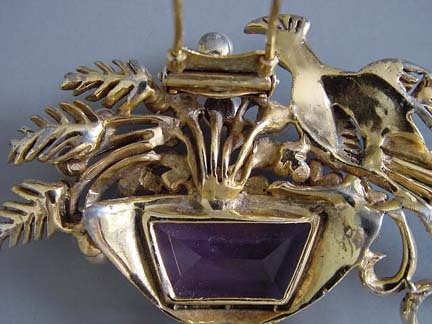 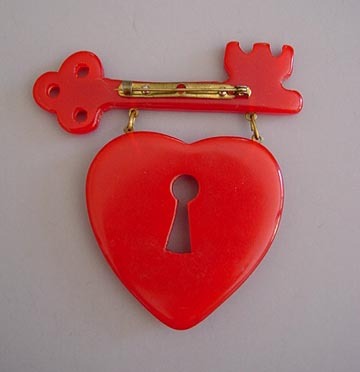 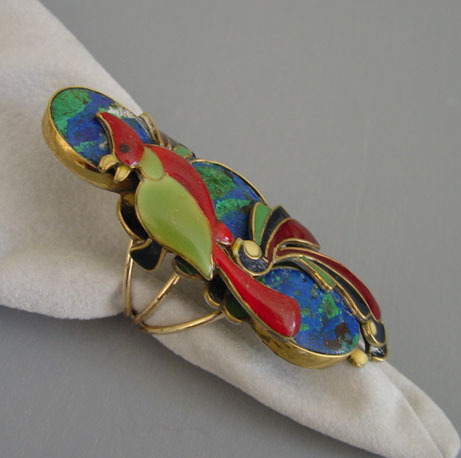 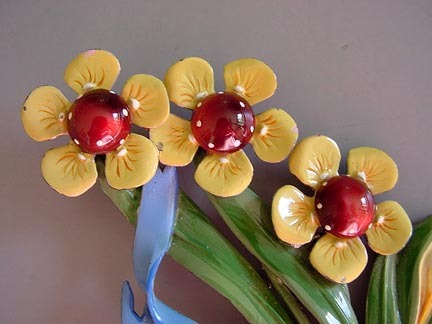 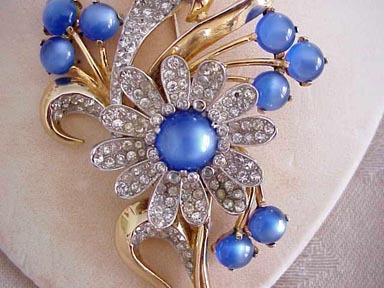 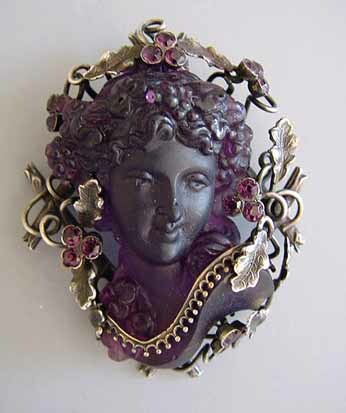 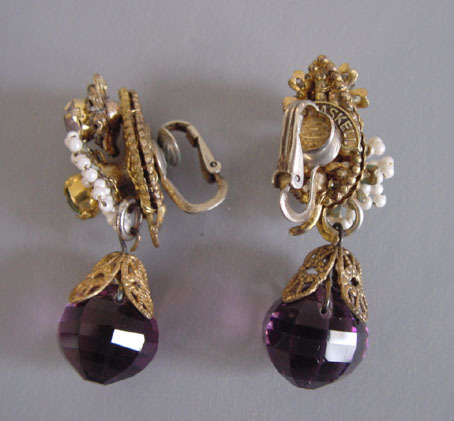 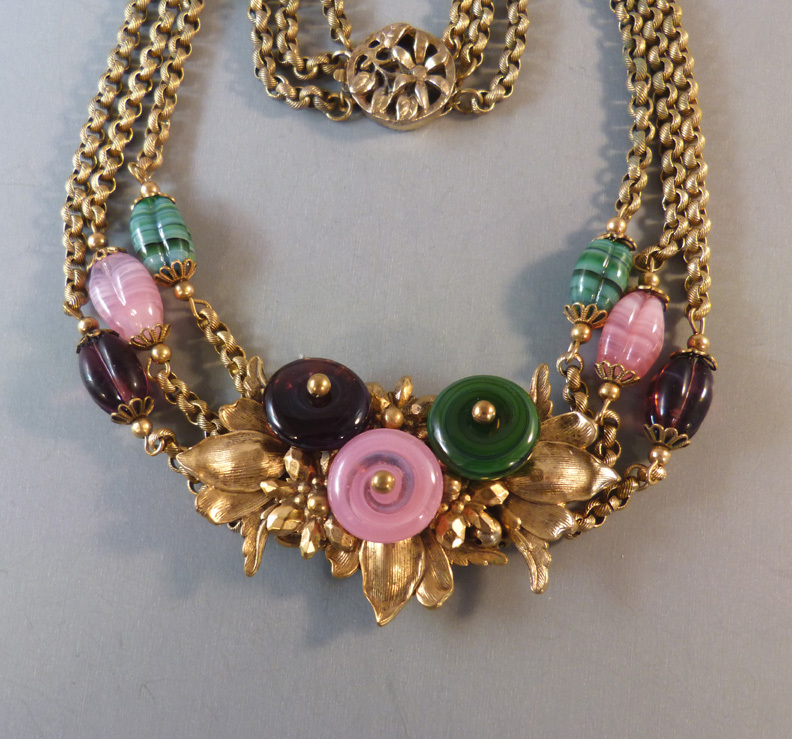 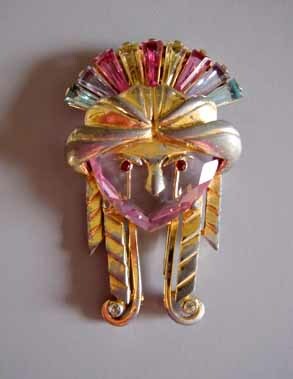 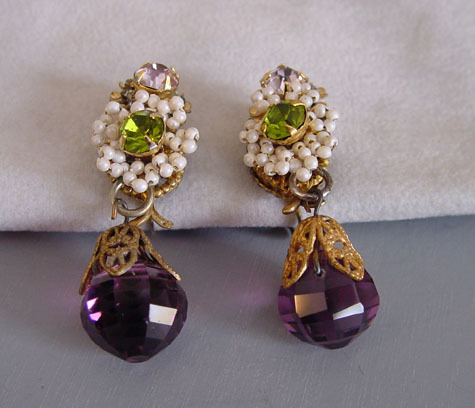 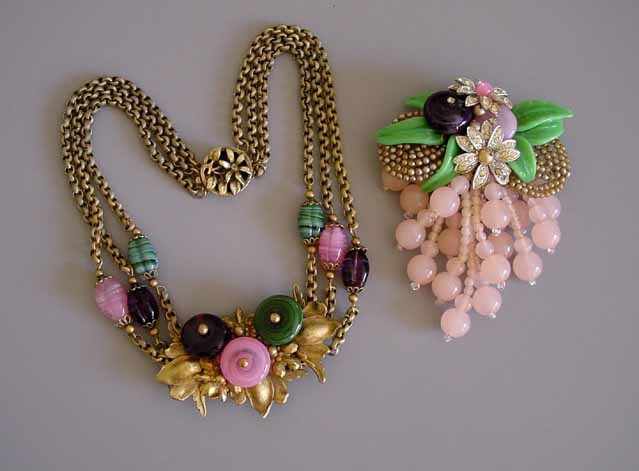 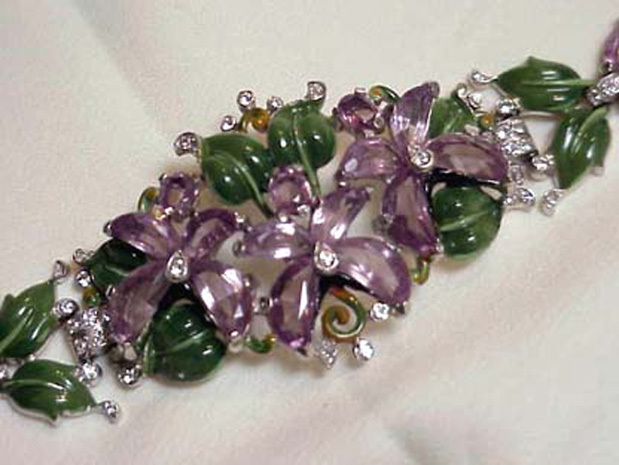 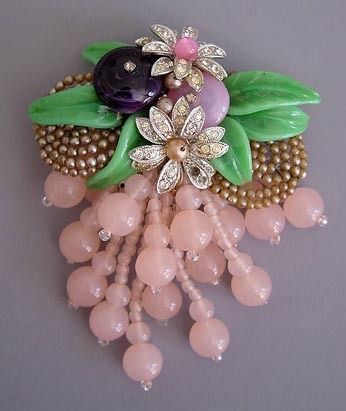 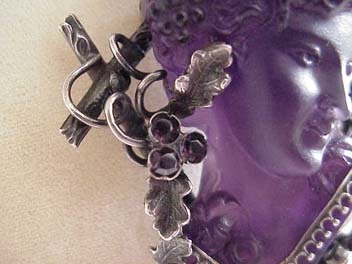 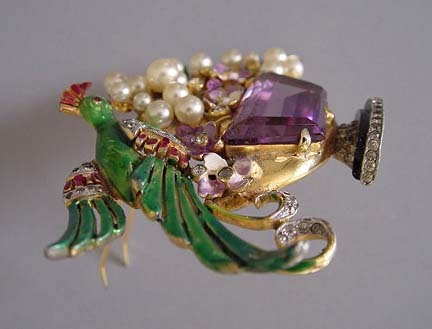 Vintage costume jewelry varies widely in price and desirability. 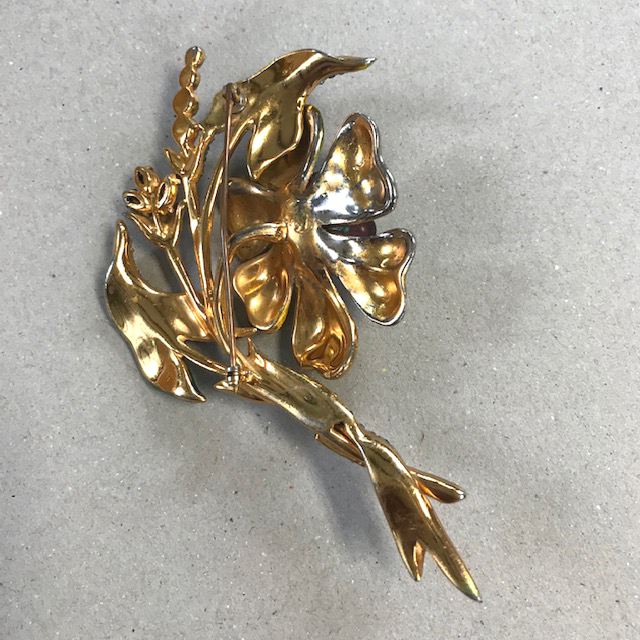 I am often asked what makes one piece better quality, more expensive and more desirable than another, and below are some of the answers along with examples. 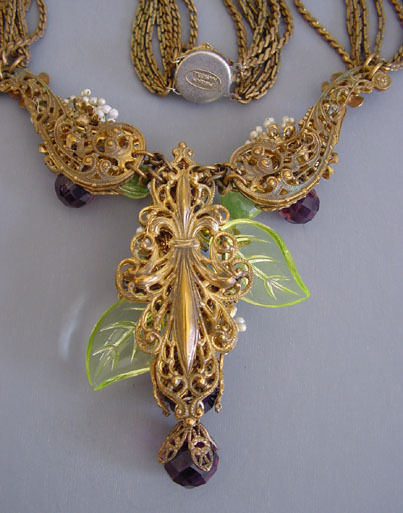 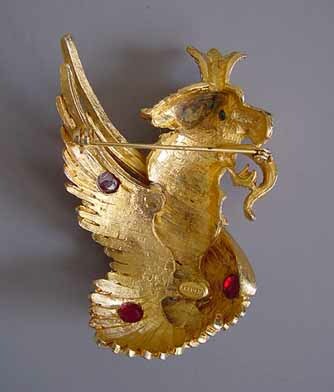 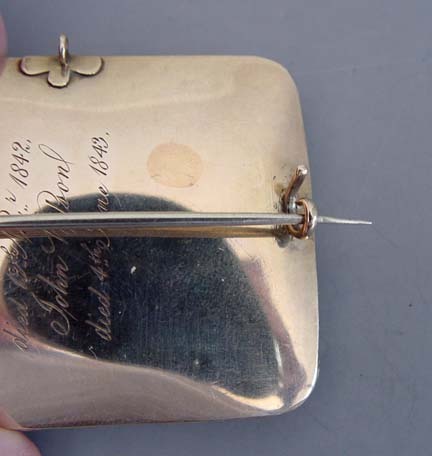 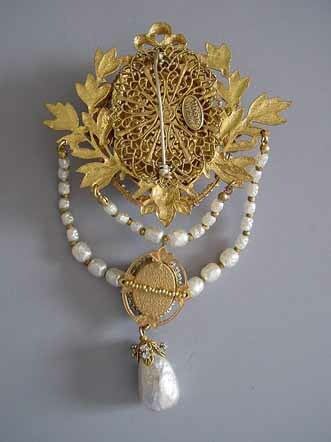 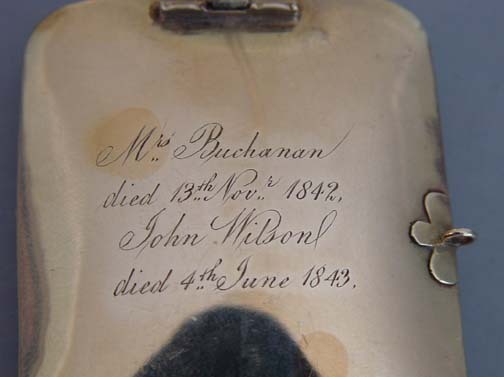 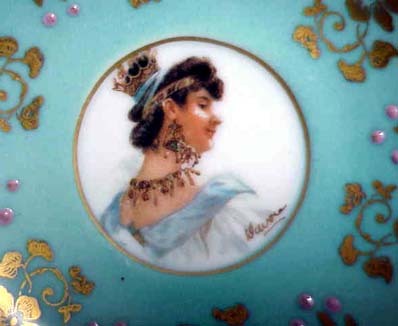 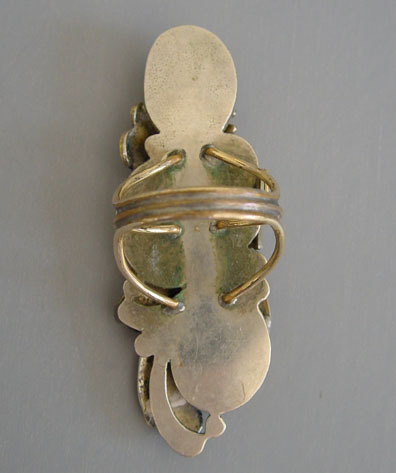 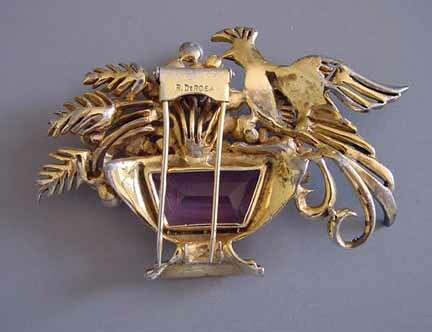 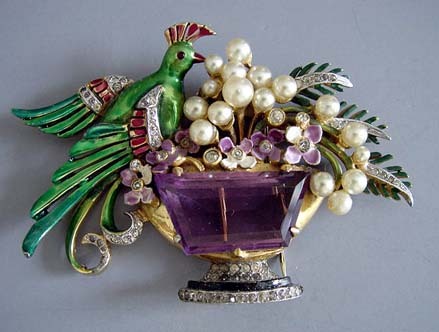 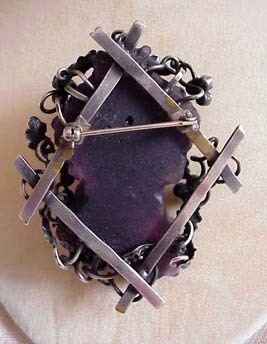 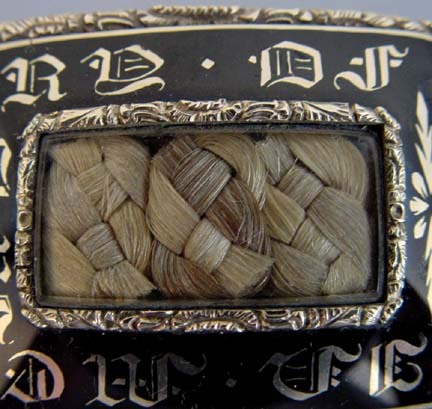 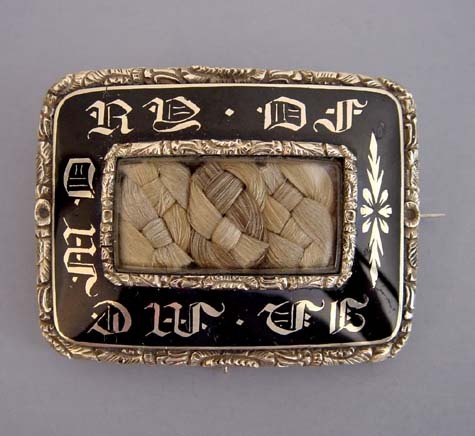 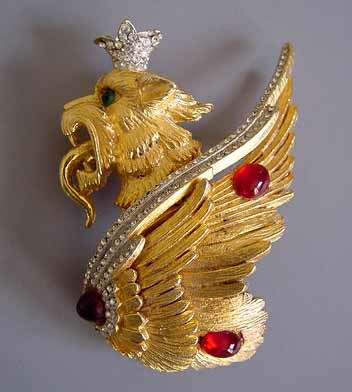 Jewelry manufacturers used different quality materials... this is evident even in the pieces we see today. 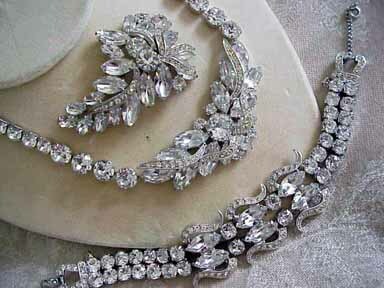 Quality in rhinestones is determined best by brilliance and clarity. 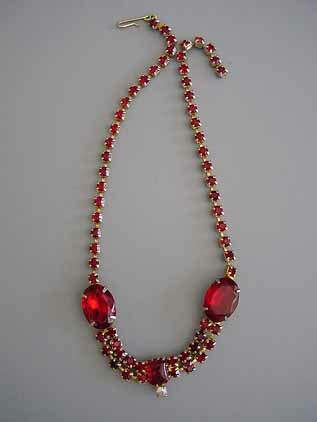 The lead content and cut of Swarovski stones, for instance, makes them incredibly brilliant and clear. 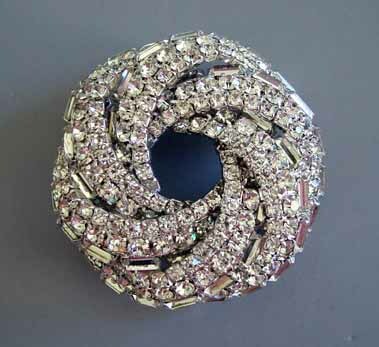 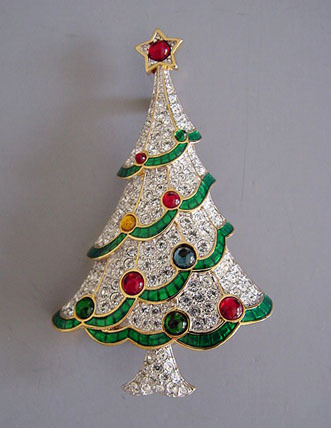 Good rhinestones, like good diamonds, sparkle beautifully, and inferior ones are cloudier and less brilliant. 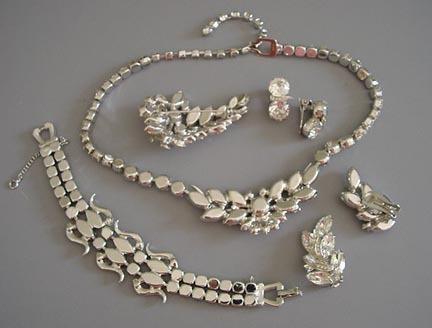 Inferior stones can be the result of poor condition, but it can also be lower quality stones that were used in the jewelry originally. 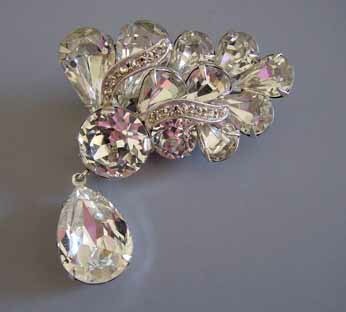 Clear, very high quality stones with lots of sparkle and no foil damage (darkening of stones). 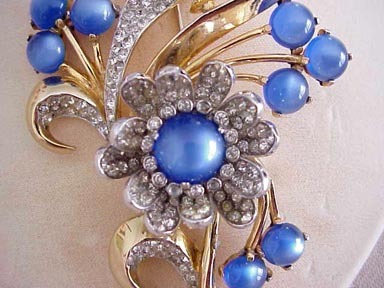 A variety of sizes and shapes of rhinestones often increases design appeal and desirability. 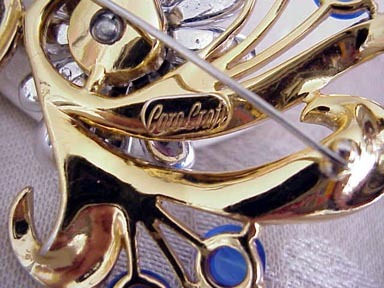 Swarovski stones have a first-class reputation for sparkle, quality and consistency. 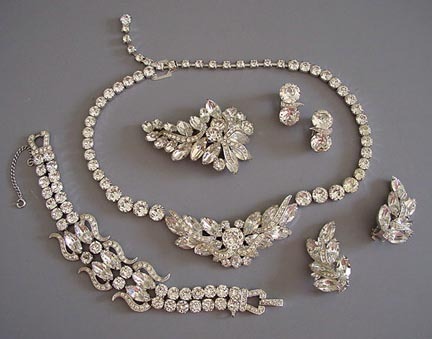 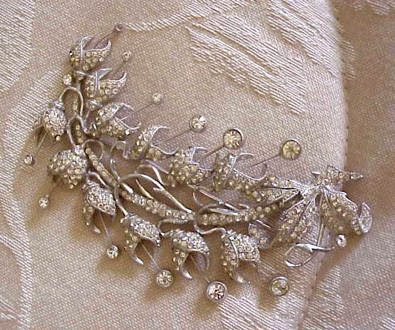 Cloudy and/or grayed rhinestones devalue any piece of jewelry, as do inferior quality dull stones. 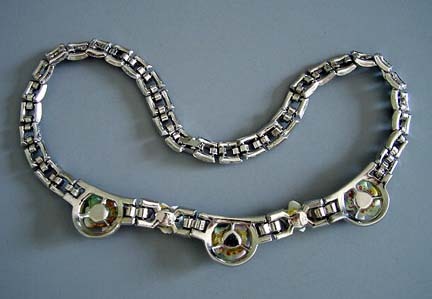 This additionally has a flat uninteresting design. 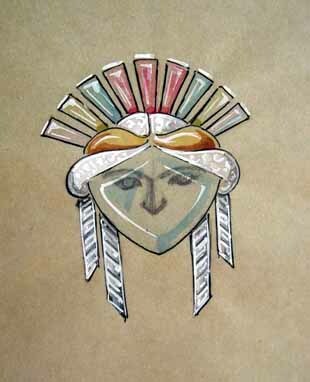 This may seem subjective but, just as in art, good design has quantifiable elements: composition, use of color, use of material, attention to detail and artistic merit of design. 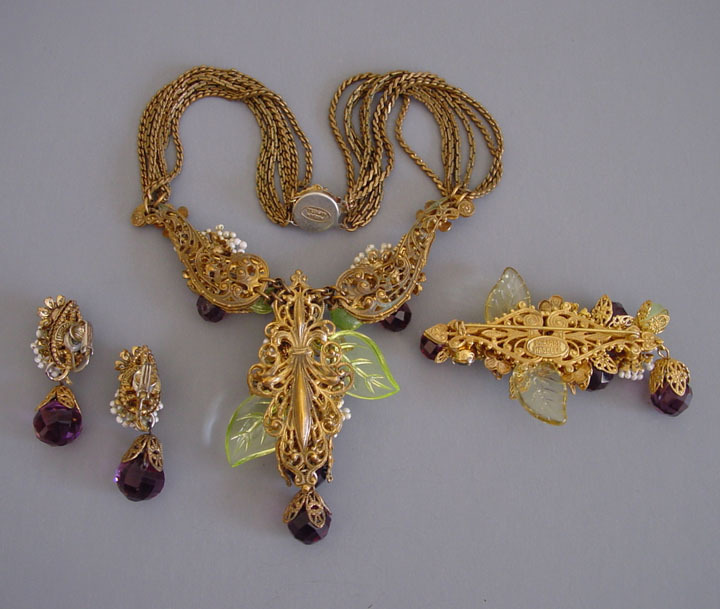 These pieces have it all! 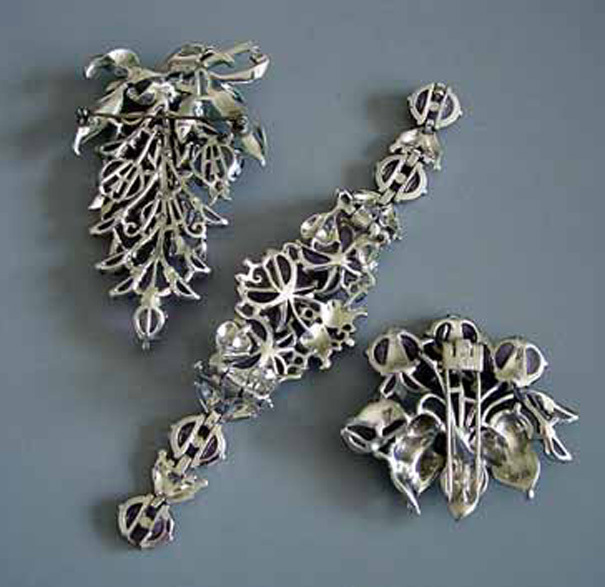 Detailed hand work work, craftsmanship, mechanical elements and complexity all add to the desirability of pieces like these. 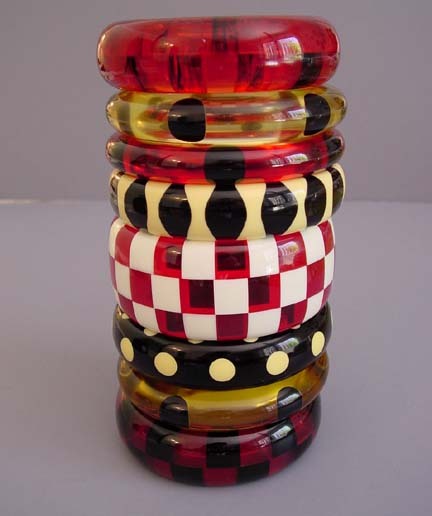 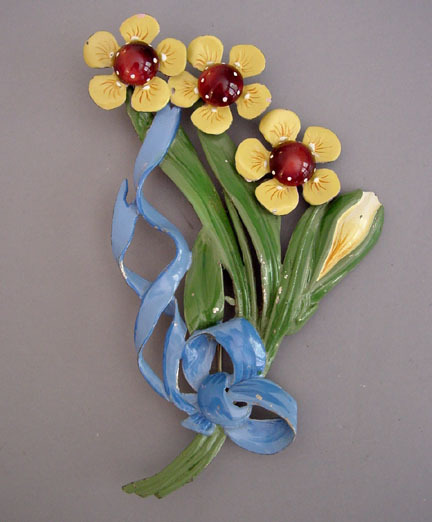 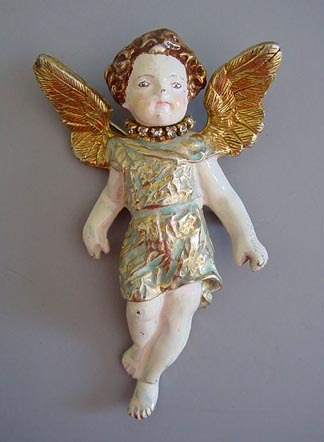 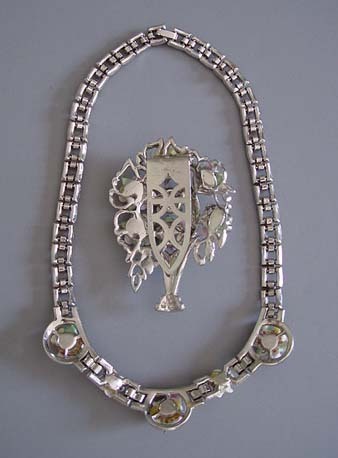 Flat, simple and average pieces with little dimension and design were less expensive when they were originally made, and are not very desirable to collectors now. 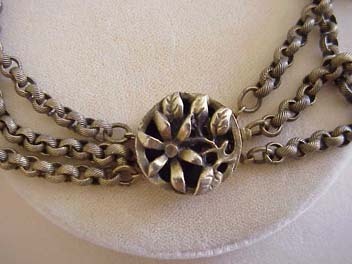 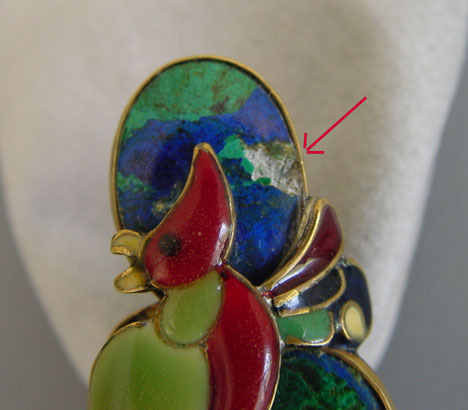 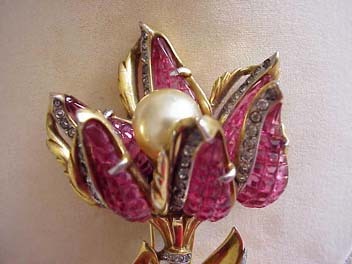 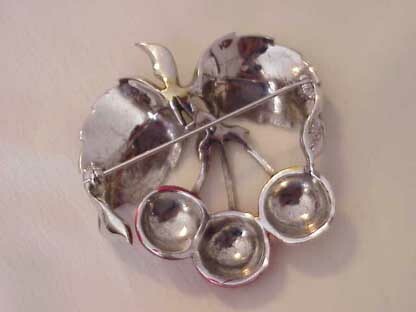 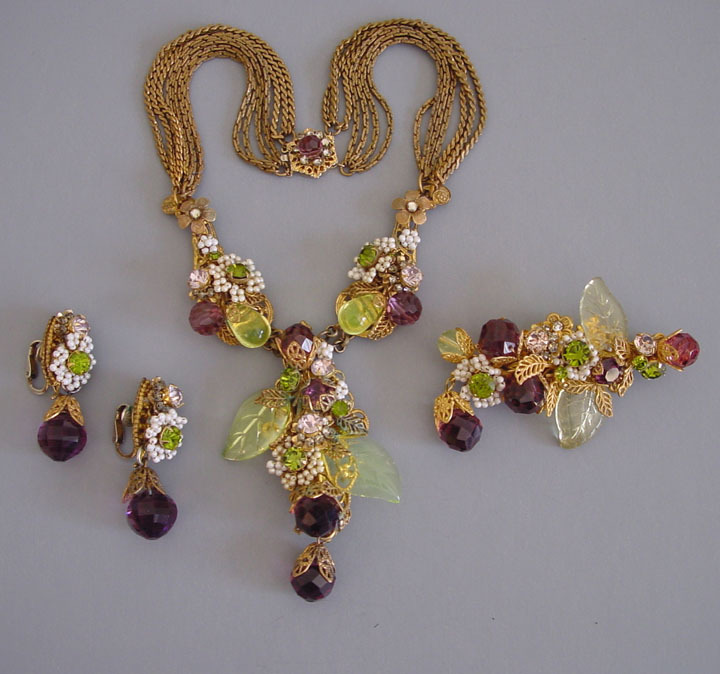 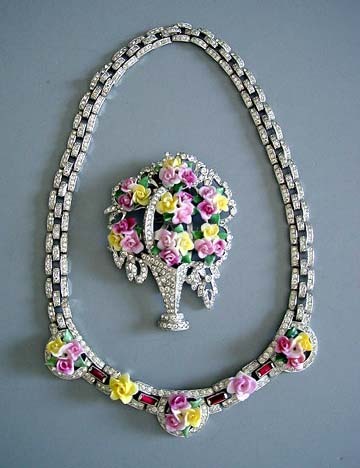 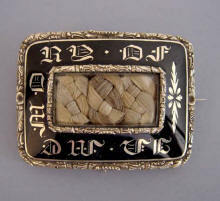 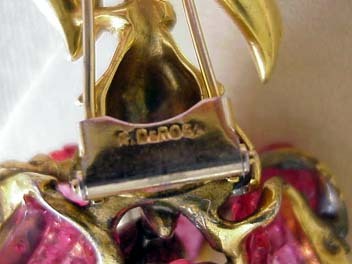 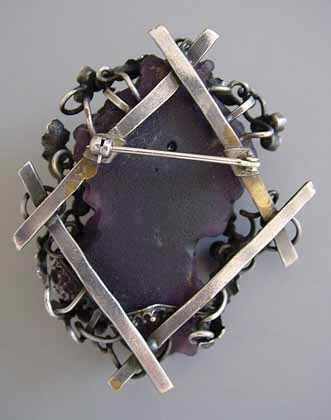 The three pictures below are examples of lower quality jewelry. 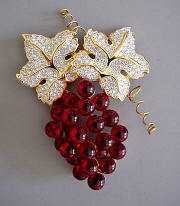 They are wearable, and may even be marketable, but only at low prices. 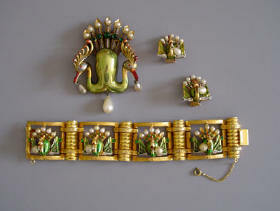 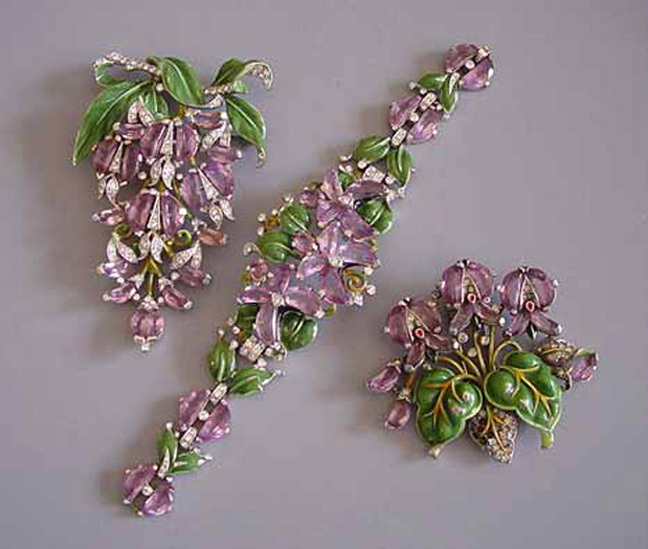 These pieces show more complex design and use of color, and they are more rare. 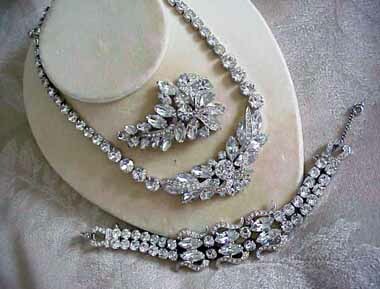 Prices for these would be on the high end range for costume jewelry. 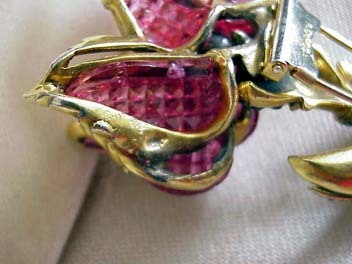 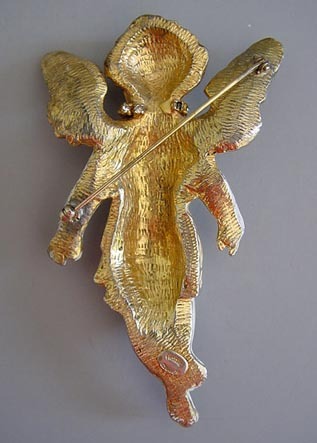 Rare and/or one-of-a-kind pieces and pieces with provenance which are also well made and in good condition command the highest prices of all. 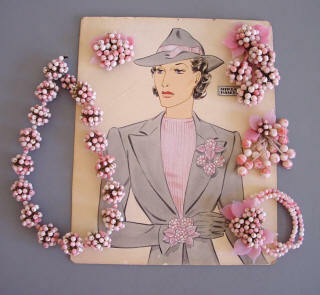 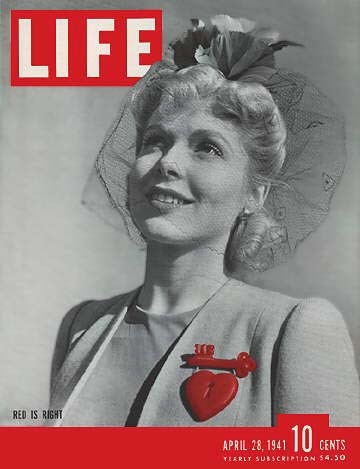 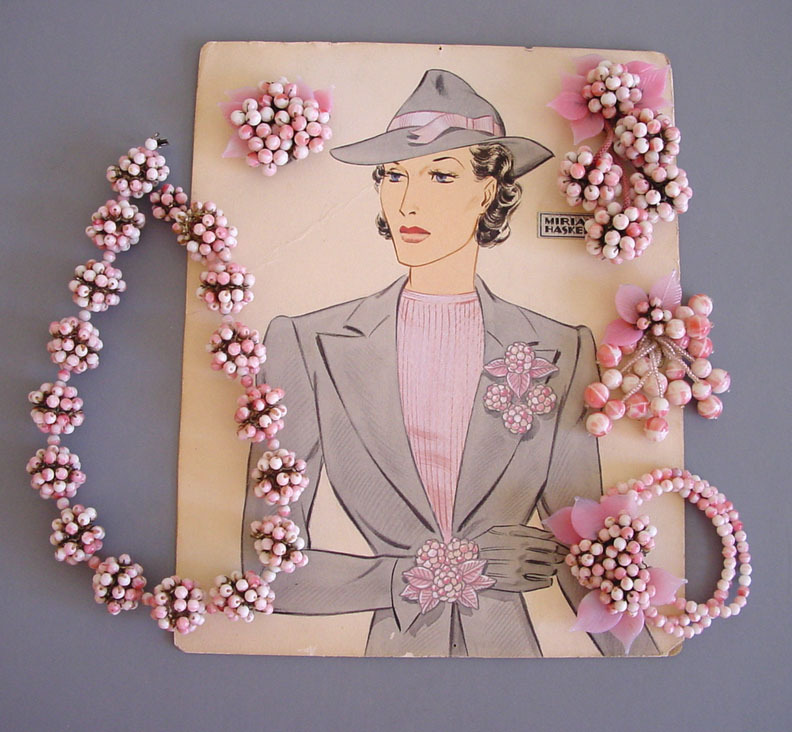 MIRIAM HASKELL circa 1940 Frank Hess designed necklace, bracelet, and three clips jewelry parure with original illustration advertising art work by Larry Austin. 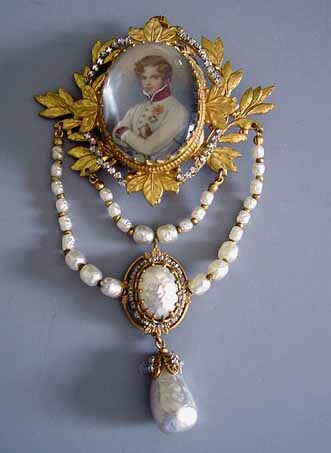 Jewelry that has been featured in books and magazines or has been prominently worn or owned by well-known people has a cachet of its own. 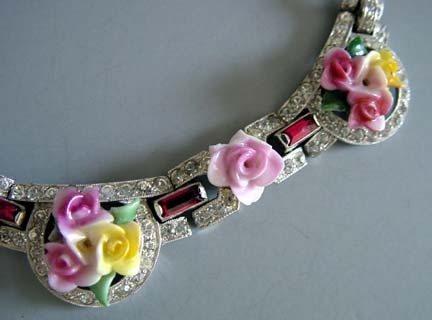 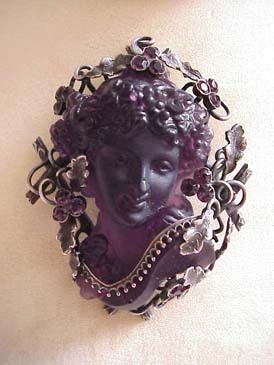 Jewelry that is strongly typical of it's era and style is always popular. 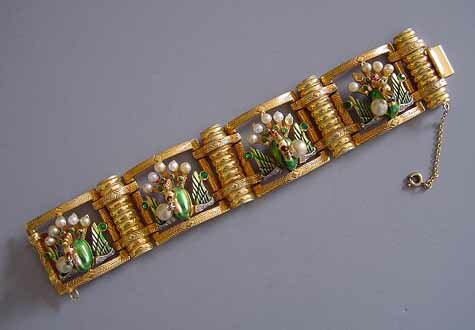 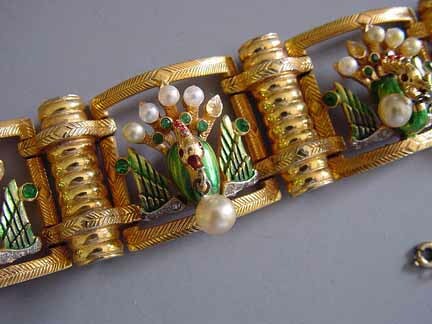 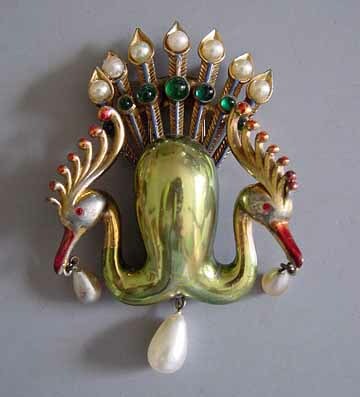 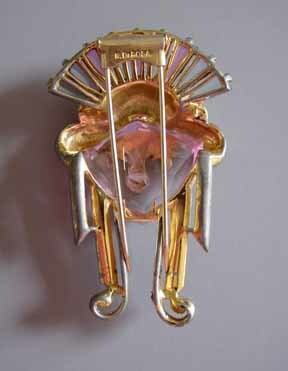 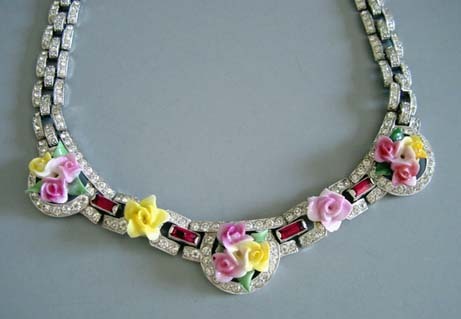 But conversely, this can also be true of jewelry that is very atypical of a designer or era. 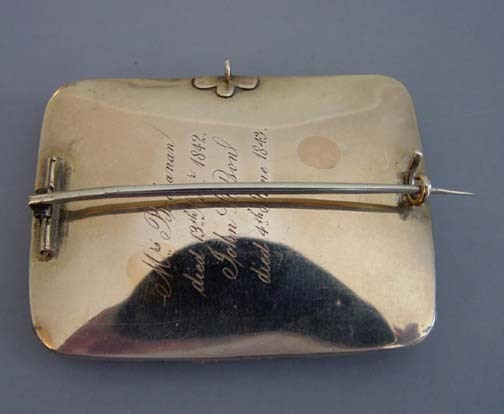 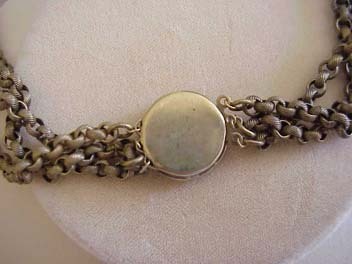 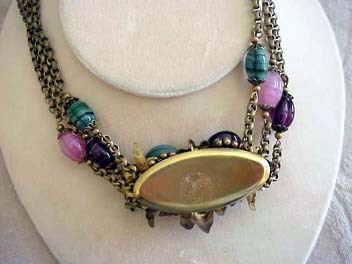 See JEWELRY BY THE DECADES to help date your jewelry. 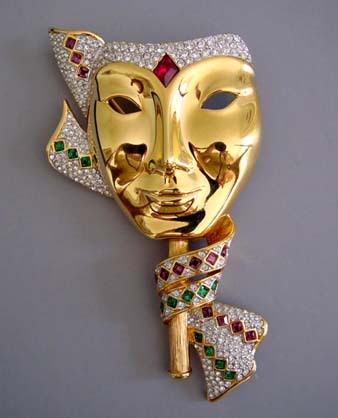 What is on the TV and movie stars, what is being talked about by collectors, what is on the fashion run ways... all these influence what is hot and what is not. 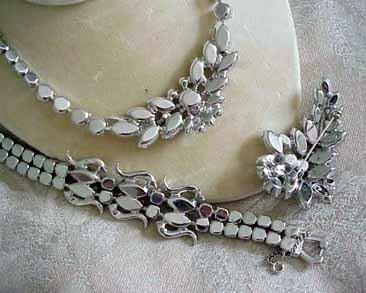 And like apparel, jewelry fashions may come and go with jewelry and accessories following suite. 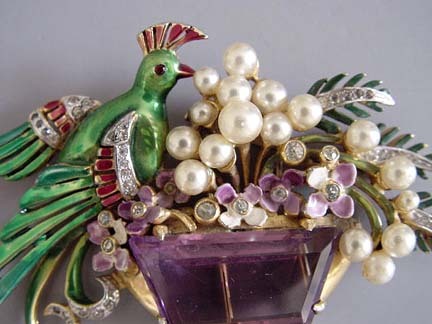 Buying high quality, excellent condition, multiple pieces in a set and/or unusual items is a good hedge against the trends of the times. 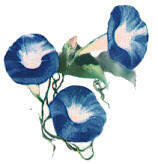 In spite of all other factors, personal taste, sentimental associations and general eye appeal count. Personal associations and preferences often overrule all the other decision making points listed above, so as it is often said, "Buy what you like". 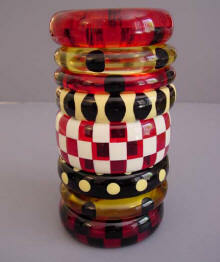 It will make either your collection so much more distinctive! 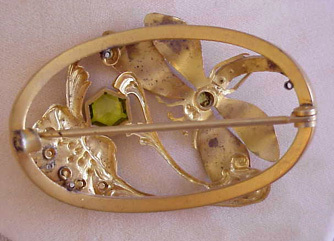 Sentiment.. a piece reminiscent of an special event. 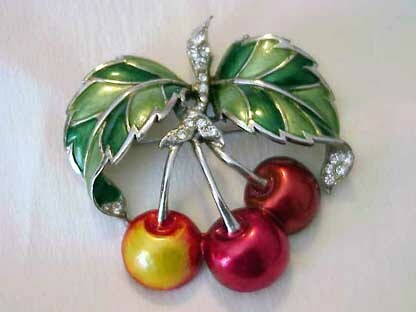 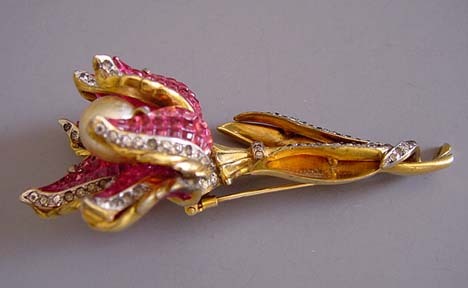 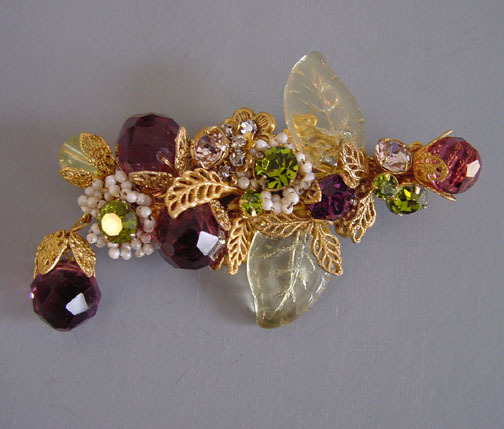 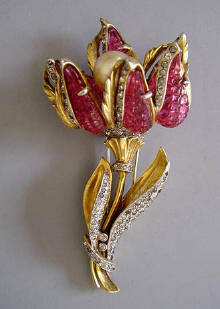 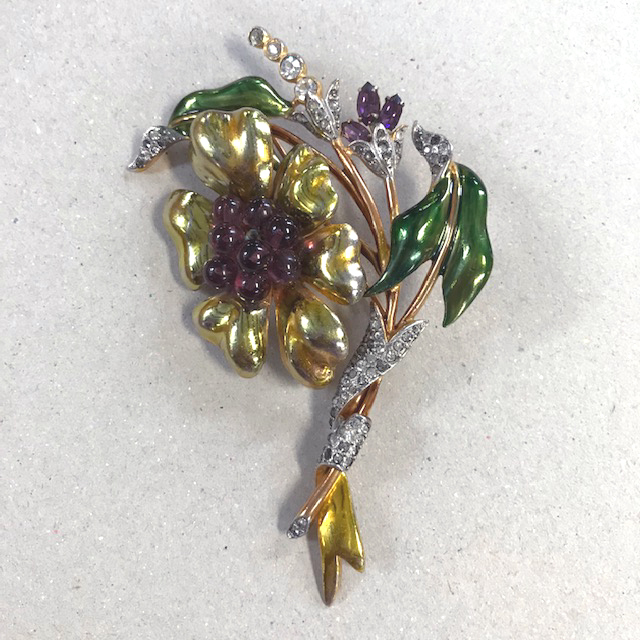 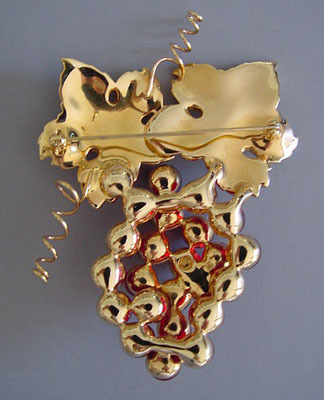 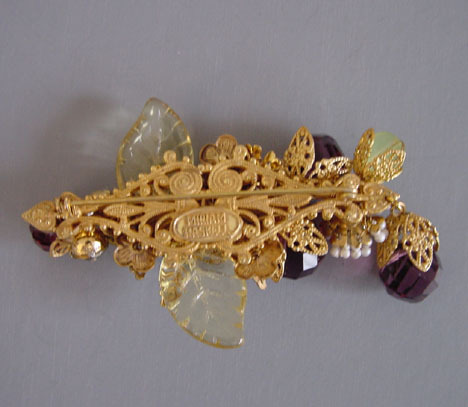 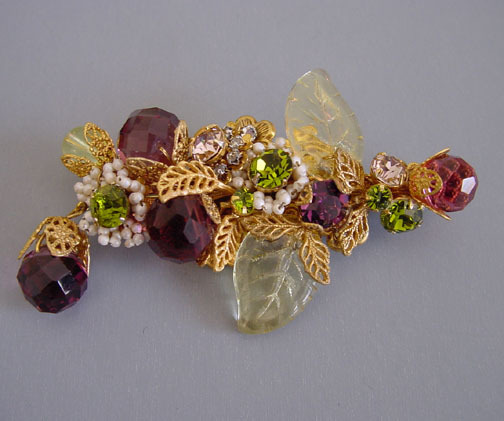 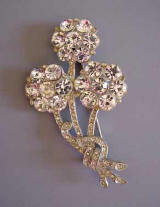 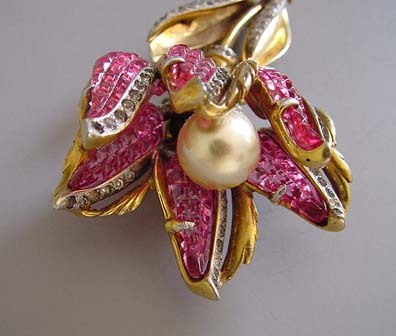 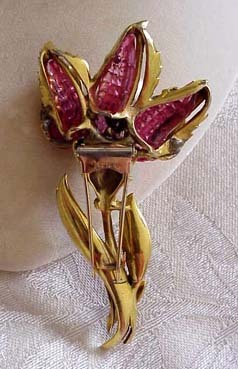 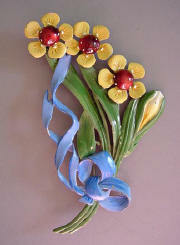 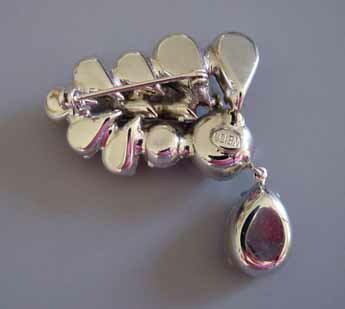 SWAROVSKI red glass grapes and pave leaves brooch, a sentimental favorite of mine as it marked a special occasion.